The music in this album is dedicated to creating a better world; a world without war and killing, without poverty and exploitation; a world where men of all governments realize the vital importance of life and strive to protect rather than to destroy it. We hope to see a new society of enlightenment and wisdom where creative thought becomes the most dominant force in all people’s lives. 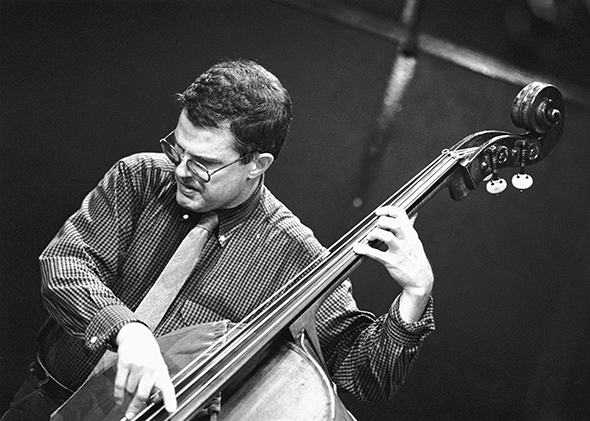 If we remember Charlie Haden with his passing (11/07/2014), it is not to bury him, but to celebrate his creativity, his music (with Ornette Coleman, the Liberation Music Orchestra, the many duets, and so much more) and his ethical-political commitment. If art is not reducible to politics, there is no art without political resonance; and there is no politics in the deepest sense of the term which is not also creation. Haden’s music lived on this line; not a border, but a threshold between two inseparable worlds, worlds thereby rendered freer and more beautiful. In 1971, Haden would play at the first jazz festival of Cascais with the Ornette Coleman Quartet, dedicating his “Song for Ché” to the anti-colonialist revolutions then taking place in the portuguese colonies; a gesture that would lead to his arrest and interrogation by the country’s internal security police (PIDE). This entry was posted in News blog, Poiesis and tagged Art and Revolution, Charlie Haden. Bookmark the permalink.